Michelin is among the most well-known tire brands in the world, and the company’s products have always been associated with high-quality standards. Primacy MXM4 is among their top best-selling tires, and is popular especially because of the perfect combination of precise handling, all-season safety, and refined ride comfort. 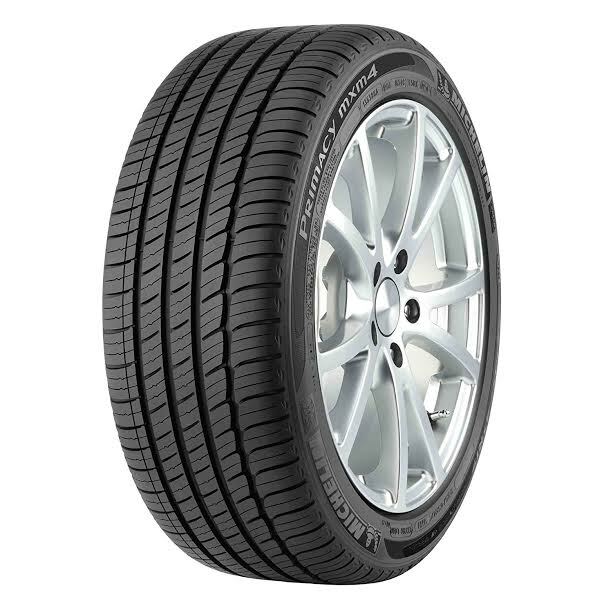 Classified as an all-season tire, this radial tire is more of a luxury choice for passenger cars and minivans. Still, you get what you pay for, and the nice warranties ensure that you are going to get the most out of the product. Primacy MXM4 is a radial tire suitable for passenger cars and minivans, and is considered as a luxury performance touring tire. The design of the tire boasts the unique self-supporting tread construction that is able to lock together whenever needed, especially in rain and snow, in order to create additional sipes for enhanced traction. This unique feature has allowed for such an exceptional adaptive traction performance. In addition, Primacy MXM4 also boasts the sunflower oil additive used in the tread compound, which enables the tire to have better traction at low temperatures, ensuring superior handling and braking in the colder time of the year. If you take a look at the tire’s tread surface, you can find lots of grooved tread elements that have been situated precisely for the best water evacuation performance. Despite the apparent simple look, Primacy MXM4 is quite an elegant and good-looking tire. Primacy MXM4 has received lots of positive reviews, with the users praising its superb dry and wet performance. The tires are great on a dry road, allowing you to have great acceleration and speed with confident handling, and they remain good on a wet road. The tire adapts very well to provide increased traction if the day goes rainy. The winter/snow performance is fairly good; it is obviously not meant for off-road applications, but still usable if needed to run through some snow. As a luxury touring tire, Primacy MXM4 also offers exceptional ride comfort. The tires are very quiet, smooth, and comfortable. Plus, the tread life is very good. It holds up very well to get through lots of miles, without any issue. Besides, Primacy MXM4 is backed by a treadwear limited warranty and a six-year standard manufacturer’s limited warranty. All in all, Primacy MXM4 is an excellent luxury all-season tire that you can choose if you are looking for the ultimate driving performance and comfort. Check the best price of Primacy MXM4 here!